Finishing out the season when your team is out of playoff contention may seem fruitless. 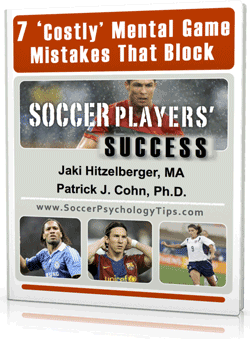 This approach only serves to fortify a negative or losing mentality. How can you stay motivated to finish out a season with no postseason hopes? First, you should know that you absolutely DO HAVE SOMETHING TO PLAY FOR. These last games can forge a winning team mentality. Consider these last few games as the beginning of a new season. These games can establish a team belief, a new team identity that you can win games against playoff caliber teams. There is no better way to start off your next season than carrying a winning streak from the previous year. Take for example the Chicago Fire of Major League Soccer. The Fire have failed to make a post-season appearance in six of the past seven years and faced Toronto FC in the season finale with no chance of making the playoffs. Some would say the game didn’t matter but, in reality, everything was on the line. Despite a league worst -16 goal differential, the Fire played with intensity and focus with a very specific goal in mind… to head into next year with a new competitive mindset and a culture of battling each and every game. Chicago’s head coach Veljko Paunovic refused to concede a game as meaningless. Paunovic wanted his team to know they can be competitive against any team, even the Toronto FC, the No. 3 seed in the Eastern Conference. Paunovic created a goal for the team… end the season on a high note with a strong showing against a playoff team. If the Fire could hold their own against a playoff team, that would mean they could very well be in the playoff mix next year. Each and every game is an opportunity to create something positive. Don’t squander the opportunity to build upon what will be your future legacy. Reliving all the bad moments of the season will create negative feelings and zap your motivation for competing in the last few games. Instead, focus forward. Tell yourself, “Winning ways start today.” Describe to yourself the mindset that will foster success and start the ball rolling for next year. Your next game, despite your current record, may be the game you turn everything around! 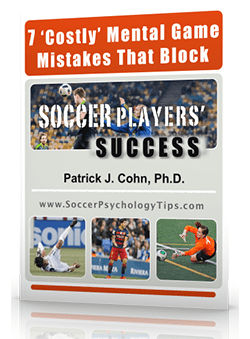 Learn all of my secrets for improving your confidence in soccer! 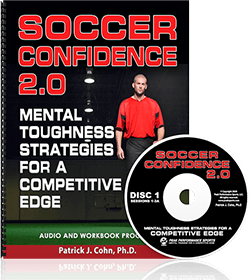 Discover Mental Game Secrets to Unstoppable Confidence!